The Pro Strap is rapidly becoming the choice of professional photographers and people who use large cameras with long heavy lenses. It's also ideal for use on portable power packs. The patented weight reduction system makes the Pro Strap absolutely essential for prolonged use of a heavy camera or portable power pack. 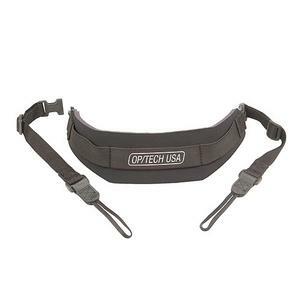 Equipment instantly feels 50% lighter and 100% more comfortable when using a Pro Strap. 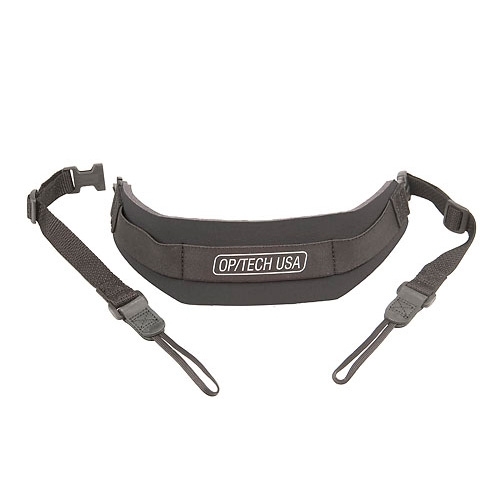 The weight is evenly dispersed while the strap functions as a shock absorber to eliminate neck and shoulder fatigue. The Non Slip Grip adds the finishing touch which enables camera gear to be safely carried slung over the shoulder. You'll definitely feel the difference!